Boarding Homes Ministry builds Christian community by linking teams of church visitors with the residents of boarding homes. Relationships grow as people share their lives in Christ. 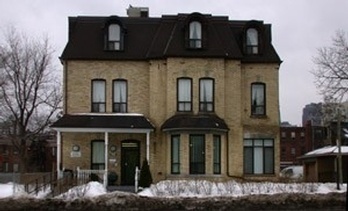 In this 2007, video David Alderson and Ruth Brunzema discuss RPC's Boarding Homes Ministry and share their experience of visiting residents of Toronto's Kennedy House.